The NZ Game Developers Association is a not-for-profit organisation run by a diverse group of game developers from around New Zealand. You can learn more about our role and activities (including the 2017/2018 Activity Plan) here: http://nzgda.com/about-us/what-is-the-nzgda/. August 22nd– online ballots will be emailed to all current NZGDA members and voting begins. September 11th – voting closes at the Annual General Meeting, which will be held at 6pm at Victoria University School of Design where the results of the election will be announced. I’m the Lead Game Designer at Aurora44 and the current NZGDA Chairperson. I’ve been a professional Game Designer for over 6 years, with experience ranging from AAA to indie. 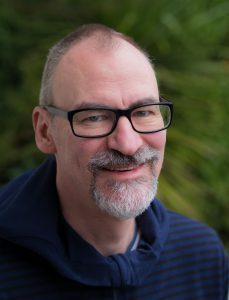 Throughout my career, I’ve been involved with several international game development communities, including the Nordrhein Westfalen Game Developers in Germany, IGDA New Zealand and the NZ Game Developers Association. In my first year on the board of the NZGDA I was the point of contact to many NZGDA email enquiries and was lucky to be the first Executive Coordinator for the organisation, handling day to day activities. I also got involved with the organising committee for our annual conference, NZGDC. As Chairperson over the last year, my focus has been on more diversity initiatives, and advocating for our industry to government, investors and press. Working with educational institutions to make game development programmes as industry relevant as possible. This will help the future our industry by fostering our local talent. You can always reach out to me on Twitter of you’d like to chat at @aquil4x, or flick me a message on LinkedIn. I am a current NZGDA board member and Secretary and would love to continue to serving on the Board to keep growing our industry to provide board continuity. Over the last year I’ve managed the NZGDA’s finances and admin, which have grown as the Association’s activities have scaled up. I’ve also led our annual industry survey and work with government departments, including a report on interactive media currently underway with MBIE and NZ Tech. I chaired the serious games panel at NZGDC18. My involvement in the industry includes founding the Auckland Game Developers Meetups in 2008, organising the first Global Game Jams in Auckland in 2010 and 2011, running the first modern NZGDC in 2012, coordinating our annual industry survey for many years and launching the KiwiGameStarter in 2014. I was Chairperson of the Association from 2011-2013 and again in 2015/2016. These activities have successfully been handed on to other NZGDA board members and volunteers as we have grown our ambitions. In my day job I’m Managing Director of serious games and gamification studio InGame in Auckland and have consulted to or mentored several other New Zealand game studios and projects. We’ve made serious games for ACC, NZ Fire Service, Diary NZ and more. I’ve previously worked in the tech industry for the likes of Xbox, Microsoft, Facebook, IBM, Fonterra and several universities. I am also on the board of creative industries body WeCreate, who advocate for game developers too. As a kid, Johnson dreamed of being a video game designer. But when he left school, this option for study didn’t exist – so he channeled his love of art and technology into Computer Graphic Design. Johnson graduated from the Whanganui School of Design in 2004, completing his Masters in 2007. During this time, he was awarded a scholarship to study augmented reality at The Mixed Reality Lab (The University of Nottingham) and The Office of Tomorrow (Hagenber, Austria). On returning to Aotearoa, Johnson was drawn towards the question that defines much of his work; what is Māori design, and how can it be used to positively change the lives of Māori? This lead Him to Te Pūtahi-ā-Toi (Māori Studies, Massey University) where he would graduate as the country’s first PhD in Māori design. Johnson has gone on to work on a diverse range of creative projects, from national and international solo and group exhibitions to public art and installations. 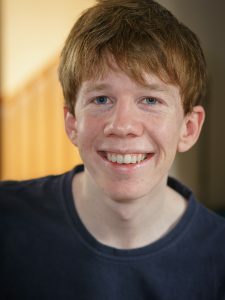 In 2012 Johnson’s work was on exhibited 34 digital billboards in Times Square, New York, in the first ever synchronized display of digital content. As a designer Johnson’s work explores how digital technologies can be used to tell both Māori and Pākehā stories. More specifically, his design projects look into how design can be used to change the mono-cultural landscape (both real and digital) of Aotearoa New Zealand. 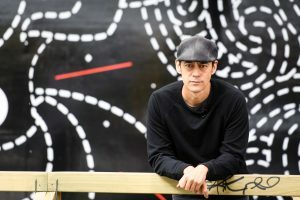 In 2016 Johnson would finally produce his first game, Māori-land Adventures, an experimental artwork that explored the contentious arrival stories of Māori and Pākehā in Aotearoa. In 2017, he travelled to Winnipeg, Canada, to exhibit the work. 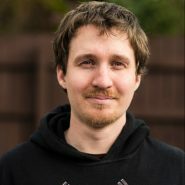 He will also present Māori-land Adventures at the Next-Level Festival of Games in Düsseldorf, Germany, in late 2018. Helping NZGDA to connect with Māori audiences, Māori creatives and game developers. Help facilitation around events to ensure that NZGDA manaaki (host) members and guests in a way that connects with our place in Aotearoa New Zealand. I have been involved in the New Zealand Game development scene for many years. I created the first NZGDC in 2004, and the first University course in game development in the same year at the University of Otago. I worked commercially as a game developer in Norway for 2 years and for the last 9 I have been lecturing the Game Programming Degree that I created in Norway. I returned to NZ in 2018 and am teaching the Computer Game Development paper at Victoria University of Wellington. Help strengthen the connection between academic organisations and the game development industry. Help develop the Serious Game Special Interest Group within NZGDA. 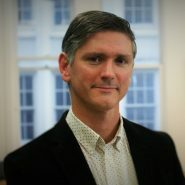 Tim Bourne is the VP of Professional Services at CerebralFix, a primarily work for hire game development studio based in Christchurch, New Zealand. Working in the industry for the better part of the past decade Tim has been responsible for the successful delivery of a number of high profile games played by hundreds of millions of people all over the world. Starting at CerebralFix as part of a core infrastructure team delivering backend services and systems for game development. Tim has moved through the business to now be chiefly responsible for building and maintaining relationships with the biggest names in global entertainment, and in conjunction with our General Manager operate and oversee the strategic and financial running of the studio. To promote New Zealand game development and leverage international relationships to help studios to continue to grow our domestic industry. To share experience from inside our Studio on how we have overcome challenges and obstacles over the last decade to help the next generation of studios grow into this expanding market. To bridge the gap between education and employment and facilitate a more inclusive industry wide approach to growing talent and also attracting talent to our shores. 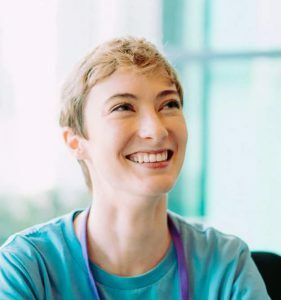 Zoe is the Managing Director of Runaway Play, an independent mobile game developer and publisher making beautiful games inspired by the natural world. Zoe has a strong background in the media industry. Prior to entering the games industry, she worked in Media, Television and Film for 15 years. 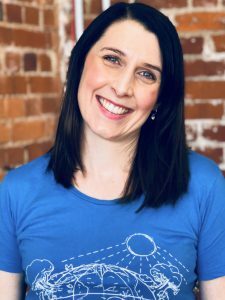 Zoe joined the team at Runaway Play in 2015 as a Senior Producer and has had a particular focus on leading the setup of the Publishing side of the business. Zoe moved to the role of Managing Director in 2016, where she oversees company vision, culture, business development and strategies. Zoe was awarded the ‘Future Business Leader’ award at the 2014 Obiz Awards. 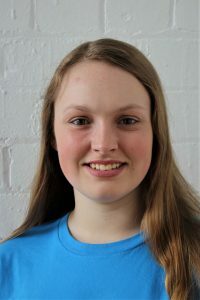 She has been a speaker at conferences nationally and internationally, is a board member for NZGDA and is a key contributor to Runaway’s #GirlsBehindTheGames campaign. Diversity. I would like to encourage women to be confident in their career paths, and help more women to accelerate their careers and move into senior positions. We are actively working on this at Runaway, and are part of opportunities like Shadow Tech (mentoring female high school students) and working with local Women in Tech groups. I would like to continue to encourage this on a national level. Knowledge sharing. To promote knowledge sharing within the industry. We firmly believe in transparency within and outside our company – I would love to help facilitate knowledge sharing between studios on a national level, and in particular between established studios and new graduates/newer studios. Management. I would bring my knowledge and experience from being on other boards and my management background to NZGDA to assist with organisational matters within the board and projects/events. I am an 11-year Game Development veteran who has worked on both AAA and Indie titles. During that time I have had the good fortune to work in numerous facets of the Game Development process, including but not limited to Design, Art, Coding, UX, UI, and Narrative. I’ve been a passionate gamer for 26 years, spending much of that time helping to develop online communities focused around ‘good play’ and eliminating toxicity. I am currently a Game Designer at Weta Gameshop working on game experiences that ferry the future of both gaming and entertainment. We are currently developing for the Magic Leap, a mixed reality headset released this year, focusing my efforts on interaction and game flow. I recently gave a design focused talk at NZGDC2018 on creating meaningful tutorials. Games, and by extension the games industry, are so very important to me. Since I was very young I developed a focused intent on spending my life working on games; how we can utilize their amazing power to help change the world. I believe together on the NZGDA we can work towards accomplishing this goal. 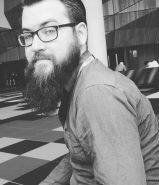 I’m the Co-Founder and Lead Artist of Wellington based PC games studio Camshaft Software, as well as the organiser of the Game Developers of Wellington meetups, part time Massey University lecturer & sometimes organiser of Global Game Jam Wellington. I was on the board this year, and am keen to come back next year, with a particular focus on improving the quality of games education in New Zealand, giving opportunities to talented graduates, and supporting small studios to get off the ground. 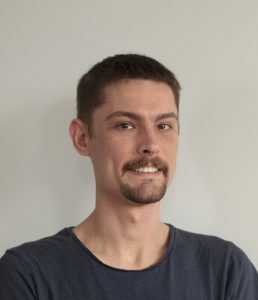 I am a QA analyst at Weta Gameshop/Magic Leap, and am about to celebrate 8 years in the gaming and tech industry in September. I cut my teeth with a few years at Nintendo of America, then spent several years with Sonos, testing proprietary wireless speaker technology and applications. I fell in love with the NZ game industry when I visited to volunteer at the Play By Play Festival in 2017. After deciding to take a leap of faith and leave my life in the United States behind, I happily returned to the game industry to work on the ground-breaking Magic Leap platform, and left Seattle for beautiful Wellington. I love the tiny and tight-knit NZ game community, and as a board member I would want to focus on outreach, both for youth and for skilled professionals who may not currently see NZ as a viable place for a career in the game industry. While in the States I participated in multiple youth outreach programs for gaming/tech, including ChickTech (focused on primary/secondary school girls) and Hour of Code, a program to get secondary school students excited about programming. While getting the next generation fired up about the tech industry is important, I’ve also seen first hand the shortage of skilled, experienced workers that NZ is currently grappling with. Many of my peers in the States and beyond don’t have New Zealand on their radar — yet! I want to showcase the charm, vitality, and inclusivity of this burgeoning industry to help attract talent from around the world to this beautiful country. 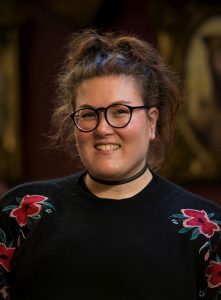 I graduated from the University of Auckland in 2013 with a BSc in Anthropology and worked as a gallery assistant/public educator at Auckland Art Gallery Toi o Tāmaki before being drawn back to uni to study game art. Throughout my study I volunteered within my community: as a student leader at Media Design School, for the MDS Girls in Games program, at NZGDC and Play by Play, and further afield for GCAP and PAXAus. I am drawn to roles where I feel I can make a difference in people’s lives for the better in terms of education, helping them achieve and fostering better experiences. 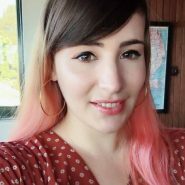 In 2017 I was awarded a scholarship to attend GDC in San Francisco by the NZGDA, and in 2018 was a recipient of the IGDA Scholars award to attend GDC again; something I don’t think I would have had the confidence to apply for without the boost from the NZGDA the year before, and I firmly believe in giving back as good as you receive. As a board member of the NZGDA I would like to continue supporting community events, and promote opportunities for the younger and older members of the NZ games industry to meaningfully connect while benefiting equally. My name is Kathy. I’m a recent migrant to New Zealand, originally from the UK, then Australia. I have an academic background in creative writing, journalism & literary and cultural studies. The first game I worked on, Jazztronauts, launched on July 31st, 2018, eight months after I moved to New Zealand. As well as being a writer for Jazztronauts, I also functioned as the social media manager after the launch. 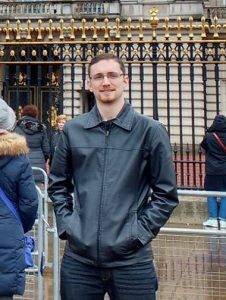 I would love the opportunity to get to know the game development community here and expand my horizons by connecting with people, and helping to develop initiatives that will further develop the industry here in this beautiful country. I’ve been playing games since I could talk, and aspire to create deep, character driven narratives. I truly believe that games can change the world for some people, and as a nonbinary, disabled & queer individual, it’s important to me to represent those who might go unseen. I’d love a chance to advocate for others on a larger platform! Ever since getting my first computer at the age of 12, I wanted to make computer games and would get up at 6am every day before school to work on my next big idea. Fast forward twenty-one years and I am now the co-founder and Creative Director at Cloudfire Studios based in Christchurch and am one of the organisers of Christchurch Game Developers meet ups. I have been involved in creating games for more than a decade. During that time I have released titles, completed educational interactive experiences, run tutoring classes for school children on basic programming and 3D art, worked freelance as a programmer, artist and music composer, and most recently have been involved in the NZGDA booth at the Armageddon expos around the country and assisted in running the Christchurch based one this year. Since my day-to-day work now includes involvement in multiple web and game development companies I would love the opportunity to help the NZGDA in that area and create a better base online platform for memberships and establish an effective NZGDA online hub. I am a strong believer and supporter of the NZGDA community development events such as at Armageddon and PAX, would love to be involved in the organising of events that help developers get their games in the hands of the public. I am an investment analyst at the New Zealand Venture Investment Fund, which does early stage investments in start up technology companies. I graduated with a Masters in Finance from Massey University before moving into this role. I also have an undergrad in Marketing & Finance. I have worked alongside multiple start up companies in the Advertising and Software space to date. I have also worked with Publicis Groupe (one of the largest advertising conglomerates) and have also been involved in the private equity industry in Dubai. Gaming has been a life long passion of mine, owning hundreds of games (across 7 consoles back in the day) and subsequently moved to PC gaming (most recently) League of Legends and Counter Strike And very much follow the pro scene. I am very keen to join in, would love to considered. I want to help out with organizing tournaments and provide any value to the community by bringing in my niche set of skills. I’m a passionate supporter of game development in NZ and under the wing of Renegade PR, I am now entering my third year of sponsoring Kiwi Game Starter with support for winners – feel free to ask them for their opinion! I have run marketing workshops at NZGDC for the last 2 years and curated the Business and Marketing streams in 2016 and 17. I am the biggest critic of my own specialised area of the business – marketing communications – and keen to share the value of my years of doing things right (and wrong) for the benefit of the industry here. I have a long career internationally – 13 years editing and publishing video game magazines and websites in the UK, then 5 years as head of comms for Activision Europe, before founding an agency 12 years ago with a global roster including Warner Bros, Activision, LucasArts and Disney. I decided in 2012 I liked Indie games more and ever since, our income reflects that of our clients! Until recently I ran games meetups and GGJ for Dunedin and am still very much involved in local support for the industry. I’ve not stood up before because of commitments and a feeling that I’m a new kid; but I’m now in my seventh year living here, and want to dedicate time and energy to help grow the industry. I’d like to ensure Kiwi Game Starter continues to thrive; and I’d love the opportunity to leverage my experience from EU markets to help guide government (both local and national) to make sustainable decisions that will survive political administration changes. Though I have no experience of government relations I have good contacts with industry bodies in the EU that may help us with case studies and research and I have recently learned how to iron a shirt for meetings with people who notice such things. I would love to support further the work carried out in the ANZ region to champion diversity and recognise the outstanding work carried out so far – we have a long way to go. I’ll stop now. Hi, I’m Daniel and I’ve been involved with game development for about the last decade. I started out as a 3D artist and moved through a range of game development and more traditional IT jobs to now be working as a senior programmer by day and as a slightly crazy hobbyist game developer by night. I moved to Wellington from Australia in early 2017. Since then I have come to know most of the local game development community through their meetups and game jams. 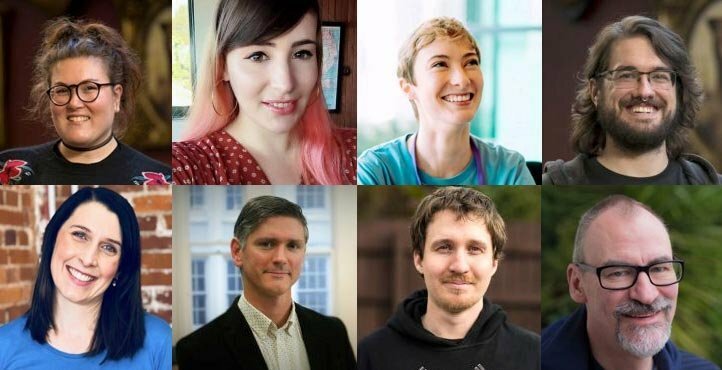 I’ve been inspired and motivated by the extremely talented people of the game development community here, and I want to show my support and commitment to them by joining the board of the NZGDA. I bring energy, enthusiasm, commitment, integrity, honesty, and reliability in my offer to serve on the board of the NZGDA. I am at my best when I am building others up to be at their best and helping them to achieve their goals. I came to NZ to support and be a part of a creative community, and I would not take this opportunity for granted. Engaging with education providers and game studios to build better pathways from education to employment. Improving the NZGDA membership system and benefits for members. Updating and maintaining the NZGDA website and social communication platforms. Helping run NZGDC, and ensuring that it meets the high standards of past years. Avid Hamilton Game Developer that has worked on over 10 game jams ranging from Ludum Dare to Kiwijam. Hosted 5+ Hamilton game developers meetups ranging from Blockchains in Video Games to how Deep Learning will change Video Games. I love future technology and am currently doing my honours on brain scanning headsets (EEG). I’ve done game jams on AR and VR. Experienced with most of Unity’s technologies such as UNET and Unity’s new machine learning framework. As a board member I would be interested in making the new NZGDA Discord more accessible and create bridges between the official Slack channel, provide resources for up and coming Game Developers at University and at High School. 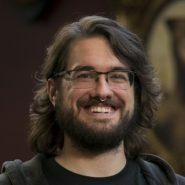 I’m the Assistant Producer at Weta Gameshop, a partnership between Weta Workshop and Magic Leap based in Wellington. 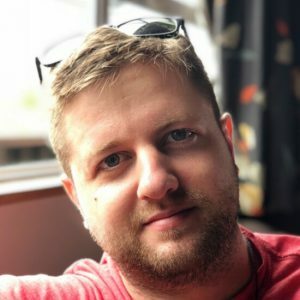 I moved into production after ten months with the studio, having originally been hired as studio coordinator during my second year of studying Game Design and Production in Melbourne, Australia. An admin for Facebook group ‘Women + Non-Binary People Studying Games’ and recognised as one of 2018’s featured Women In Games by MCV Pacific, I’m passionate about making the industry a more diverse and inclusive place. Since moving to New Zealand I’ve been constantly on the lookout for ways I can help grow New Zealand’s amazing games community. So far these have included joining the Play by Play festival committee as Volunteer Manager in 2018 and Developer Events Manager in 2019, and recently joining the New Zealand Esports Federation as a member of their diversity committee. In addition to Production, my background is in Quality Assurance, Event Management, Retail Management and Community Management. Supporting underrepresented members of the games community through events and initiatives, with the intention of helping people create support systems, facilitating networking opportunities both online and in person, and creating opportunities for career development and learning. Creating initiatives to foster and strengthen the relationship between the New Zealand and Australian games industries. Supporting young people and students interested in game development, particularly those from underrepresented communities. Last year I was fortunate enough to meet some incredible students from Rarotonga who are studying game development, and I want to do my part to ensure that they and students like them interested in pursuing games further have the opportunity and support to do so. Assisting the board in continuing to grow and strengthen the government’s support of the games and tech industries. Using my background and experience in event management to assist the NZGDA in continuing to put on amazing events for the local industry! 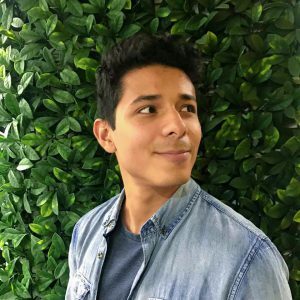 I am enthusiastic, ambitious and heavily involved in the gaming community of my homeland, Panama, as well as in New Zealand. Diversity, inclusiveness and unity are the values that drive me, and I strongly advocate for them – nobody should be denied a chance to be part of this incredible industry. Organising and running the Panama Game Jam and the Global Game Jam for two consecutive years gave me valuable experience that I carried into several startups in Auckland, and continue to do in my current role as a programmer at PikPok in Wellington. I have spoken at events including NZGDC17 and GDoC, and gained empathy and fulfilment in seeing the work of other peers – it always reminds me of the greater things we can do together. I may not have all the answers to every challenge that our industry is facing, but I am more than willing to tackle them in order to see this great space grow, just as it has grown me, fuelling my passion to see more individuals from diverse, cultural and ethnic backgrounds become great leaders and influencers. My superpower is to combine game industry practice with curriculum outcomes to make learning engaging, applied and irresistible to young people. Kids are hungry for knowledge, but their learning experiences are not like the other forms of digital content that they choose to consume each and every day. Through the power of Games Based Learning I want to change that. With over 20 years of combined industry experience me and the Gamefroot team have built Gamefroot, an online platform that steps kids through making and building their own games and simulations. Most recently we have launched Game Dev Club, a new Digital Technologies Curriculum aligned After School Program where kids (and their teachers) learn through the process of making a video game over the period of a school term. As a NZGDA Board member for the next year I’m keen support and represent educational games. My name is Alasdair, commonly known as “Salad” to many. Throughout my life, video games have been a huge passion of mine; I’ve done it all from creating simple HTML text-based games, side-scrolling platformers in Flash and much more. I also do my best to involve myself within the local game dev community by attending the numerous events and gatherings. 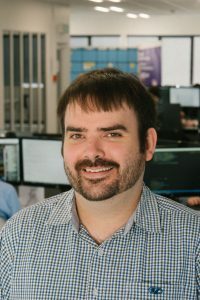 It is with that enthusiasm for the field – being a player, being a developer, and being a part of the community – that brings to express my interest in becoming a member of the NZGDA board. I am a recent graduate of Media Design School with a Bachelor of Software Engineering. Since graduating, I have been working full-time as a game and web developer in Hamilton with a new tech startup called Imagimation. My work is focused around supporting communities and the people who make up those communities by being part of a socially conscious business. The values we practice: innovation, collaboration, integrity, follow true to what I bring as a board member. 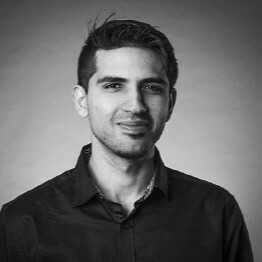 Using my knowledge of the challenges for game developers, especially in regions outside of Auckland and Wellington, my main aspirations for the board will be to setup and create several supporting systems to help new studios get their footing, such as information packages about legal and accounting services experienced with our unique industry. Additionally, I would like to provide a better system for workers and graduates to find work opportunities and gain valuable experience. This will be part of setting up a collaborative system with the studios in NZ helping us move towards equal and balanced employment opportunities for everyone. As we grow as an industry, it is important that we do not lose focus of what it means to be successful. As workers, and as studios, we should be aiming to thrive and not struggling to survive. It is all too common to see avoidable practices thought-out our industry, affecting our physical, mental and social health. I believe with enough enthusiasm and effort we can all make great strides towards making our industry the best there is. I am an animator and programmer, close to graduating Massey University’s Creative Media Production degree. I’ve been interested in games and animation as far back as I can remember, and have worked hard to learn as much as possible during my studies. 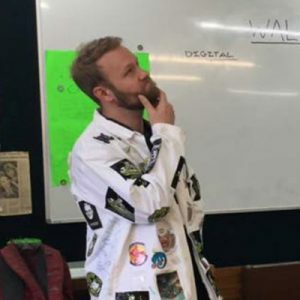 While I do not yet have experience working in the industry, I have a recent student’s perspective on how game development is taught at tertiary and high school levels, as well as how schools are promoting these courses, and where they fall short. I am running for an NZGDA board member position in hopes of sharing this perspective and the opportunities that it presents. I feel my age and background would add to the board’s diversity. Outside of my studies, I have been actively involved in game development in a variety of ways. I was lucky enough to be a volunteer at the PlayByPlay 2018 festival and then later at Massey Wellington’s Immersion Day, where I helped run their game development class for high schoolers interested in a taste how game is taught at university. I have also made multiple visits to my old high school to talk to Media Studies and Digital Technology classes about game development options at a tertiary level and how to begin networking and meeting people who are already in the industry. A focus of mine as part of the NZGDA would be to use my experience as a student to build more support for students looking to get into the industry, as well as work on improving the quality of games education. I believe increasing the input of women in NZ game development could further grow the industry. I have received tremendous support from female mentors, and would value the opportunity to provide similar encouragement and guidance to the next NZ game developers. My name is Cameron Chung. I’m a recent graduate of Media Design Schools Bachelor of Creative Technologies(BCT). I am currently the 3D Artist and Animator for RageQuit Studios. 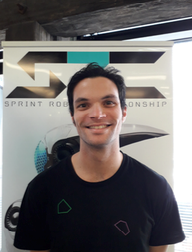 We are developing our first game SRC: Sprint Robot Championship which we hope to have completed Q1 2019. This year I would like to put my name forward as a potential board member for the NZGDA. Starting a business should be encouraged, especially among students as a way to network within the community. As a member of a recent start-up, I’m a strong supporter in entrepreneurialism as a way to grow the industry. Empowering teams and individuals to pursue their passions will create more diversity amongst the gaming community. I am actively fundraising for the New Zealand Mental Health foundation by running in the 2018 Auckland Marathon. I believe in promoting Mental Health initiatives in the game development community to ensure that developers are being looked after. Creating a dialog about mental health issues and acting on positive change will help create healthier work culture. Being able to give back to the New Zealand Game developer community would be a great opportunity.